Social media has changed the way we work, rest and socialise, but when and how do we harness it to increase community engagement, participation and awareness of environmental matters? And what happens if it generates negative commentary? Under the Local Government Act 1993, Councils are obliged to properly manage, develop, protect, restore, enhance and conserve the environment. This function cannot be achieved without community engagement, participation and awareness of environmental issues, policy and programs. The growth in social media has meant that many traditional communication and engagement activities are outdated, poorly targeted or irrelevant. Effective social media frameworks and strategies can reach out to and connect with an evolving audience and promote an interactive discourse, triggering insights into how existing government programs and policies can be implemented, supported and developed. However, knowledge gaps remain as to what platform to use and when. There is also hesitation in the uptake of new technologies due, in part, to a perceived loss in control of content and a fear of negative commentary. 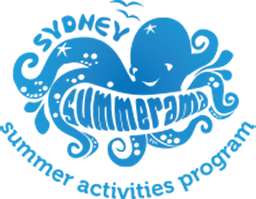 We were awarded a NSW Environmental Trust grant to increase understanding of the social media ‘space’. The Becoming Social project is designed to increase Councils’ understanding and use of social media as a relationship and policy development tool to engage, consult and educate coastal communities in relation to local and regional coastal environmental issues. 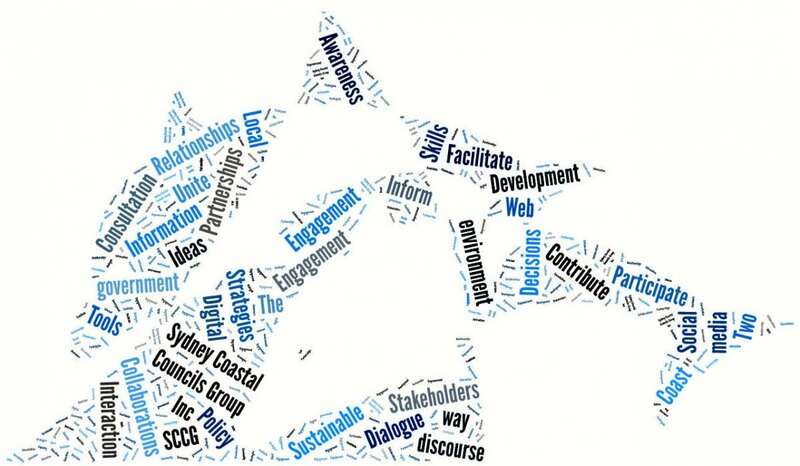 A survey among SCCG Member Councils exploring application, adoption and use of social media, and, in particular its use to address environmental issues. Literature Review and Report investigating, summarising and synthesising social media and its use in Government engagement, consultation, education and policy development. An innovative online tool (and associated resources) to enable Councils to use social media as a relationship, project and policy development tool. Please click on the image below to access the tool. The Project was guided and informed by a Steering Committee comprised of social media, environment, Local Government and other specialists. A stakeholder survey among our 15 Member Councils has been conducted by a consultant with relevant expertise, to explore Councils’ current understanding and use of social media. The survey explores the application, adoption and use of social media in Local Government, and in particular its use to address environmental issues. Specifically, results identify current social media strategies, policies and tools employed as well as any gaps, barriers and capacity required. Another consultant, expert in the field, was retained to undertake a literature review to underpin project outputs. The review investigated, summarised and synthesised social media and its use in Government engagement, consultation, education and policy development. 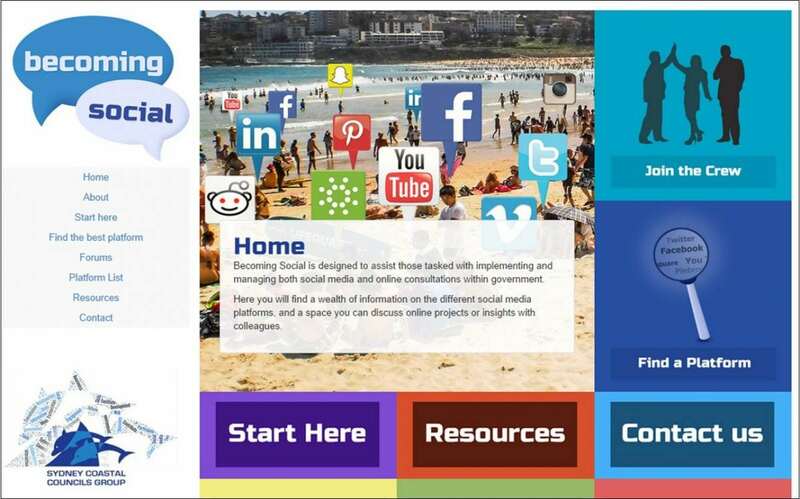 A specialist social media consultancy providing social media advice, strategy, training, content, analysis, and risk management solutions was commissioned to develop an innovative online tool (and associated resources) to enable Councils and agencies to use social media as a relationship, project and policy development tool which integrates with traditional engagement, consultation and education methods addressing local and regional coastal environmental issues. On 24 July 2014 at Customs House, Sydney, we launched the key project deliverables and outcomes. Presentations were delivered (by the project consultants, our project manager and our Member Willoughby Council) to 41 participants representing 19 different organisations. The presentations contextualised the project providing an overview of social media, especially in local government, and addressed gaps, needs and opportunities. The suite of resources developed through the project was reviewed in detail to provide participants with the understanding and familiarity to access and use them immediately. This was complemented by the presentation from Willoughby Council, which provided an ‘on-ground’ practitioner’s perspective and insight. An end-of-launch panel discussion then afforded participants the opportunity to explore issues further and have presenters address any queries or questions that emerged during their presentation. A literature review report on social media and its use in Government engagement, consultation, education and policy development. The subject matter, structure, duration, high calibre of presenters and the contribution of participants ensured that the event was a success. This was reflected in participant feedback, with 95 per cent rating it good or excellent. Lessons learned and evaluation results will be applied to future activities to ensure continuous improvement of SCCG events. For a copy of the Project Launch Outcomes Report, please click HERE.